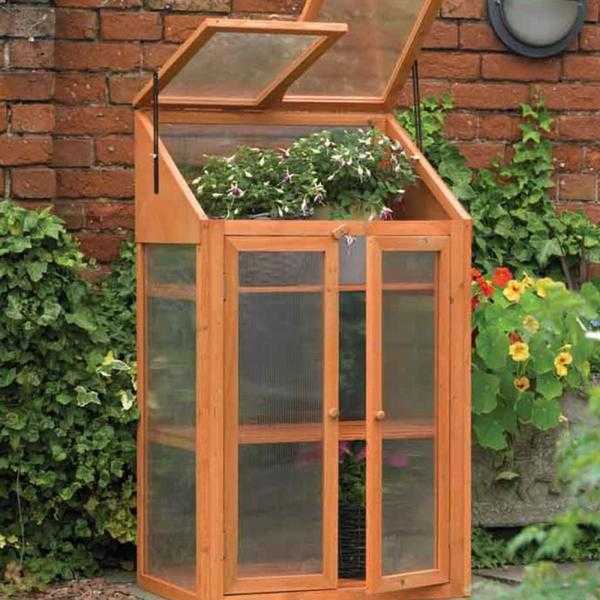 Wooden flat back mini greenhouse. features 2 independently opening, height adjusting lids. 3 slated shelves and wide double door opening.